Another seasons tournament has come to an end. There were some really nice entries and the camaraderie was great again this year. I hope everyone enjoyed themselves and had and hopefully still has a great hardwater season. As always I'd like to thank all our great sponsors .. Thank You ! The quicker I receive everyone's info the quicker the prizes will ship. If you could put what category/place you won in the PM it would be appreciated ! Re: Another seasons tourney has come to an end .. Thanks lonewolf it was a great year!! Thanks for all your hard work! You are awesome LoneWolf !!! Thanks to you and I really appreciate all of your hard work ! Thanks Lonewolf, great work and much appreciated! I won the Marcum flasher a couple years ago so I couldn't be happier about how great this tourney is! You do an excellent job coordinating it! See you all next year! Thanks for all your hard work Lone Wolf! Thanks for the tremendous effort you put into this tourney, Lone Wolf! Thanks to each of the Sponsor's for all their generosity, too!! Congrats to all the winners! Thank you Lone Wolf for running the tourny again this year. We would be honored to have you again next year. Thanks to Lone Wolf for all his efforts, and all the sponsors. Thank you for giving us another great year of the Iceshanty tourney Doug. I'm just happy everyone enjoys it each season. You're all very welcome. Thanks for making this happen LoneWolf. Great addition to the ice season and a lot of fun to track. Already looking forward to next year! Thanks for another great tourney Doug. Hopefully I'll actually have time to fish it next year. Been a couple of busy years and haven't had any time. 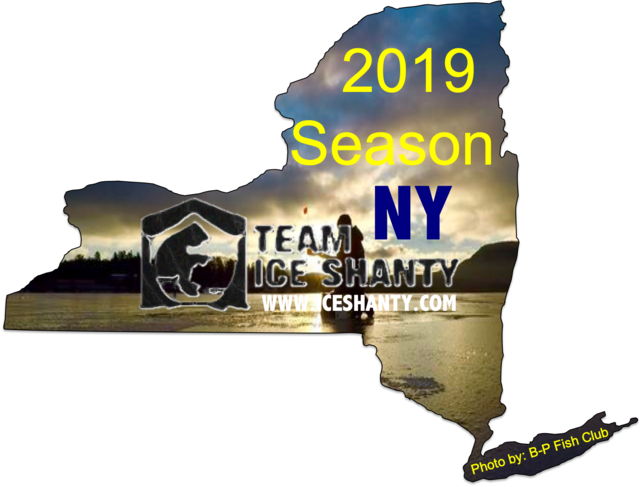 Congratulation to all the ice shanty members who placed in each category + the trophy fish group. Thank you Lone Wolf for judging one more time. To the sponsors for their generous donations. To IceShanty for starting this website it in the first place. Congratulations to all the ice fishermen who participated. Very enjoyable watching the leaderboards update. Thank you to all the sponsors for your generosity. And most of all a BIG thank you to Lone Wolf. BIG thanks again Lonewolf and to all the sponsors for making this happen another year. I get very anxious and excited over the derby time- tho sometimes angry when someone bumps me out of the place I was in hehe, but its something I look forward to every year.. This year I felt like we should have done more but around my home here in British Columbia there was a ton of snow this year and it never settled (stayed cold very long) and there was tons of powder with no base making it very tuff to get into the remote lakes that we love to get into, so I watched way too much fishing shows on wildtv and fishing network. This is way too fun. I hope IS can manage to find a way for it to continue next year! Thanks again from me and my family. We appreciate all the effort u put in and we look forward to the tournament every year, always exciting! Thanks Lone wolf for running the Tourney, you do a nice job. same as all he other...HUGE THANKS, you do a great job and its very appreciated!